For more than 35 years, Ambiance has been helping customers Enhance the Romance™ in their intimate relationships by providing a comfortable, upscale retail shopping experience. 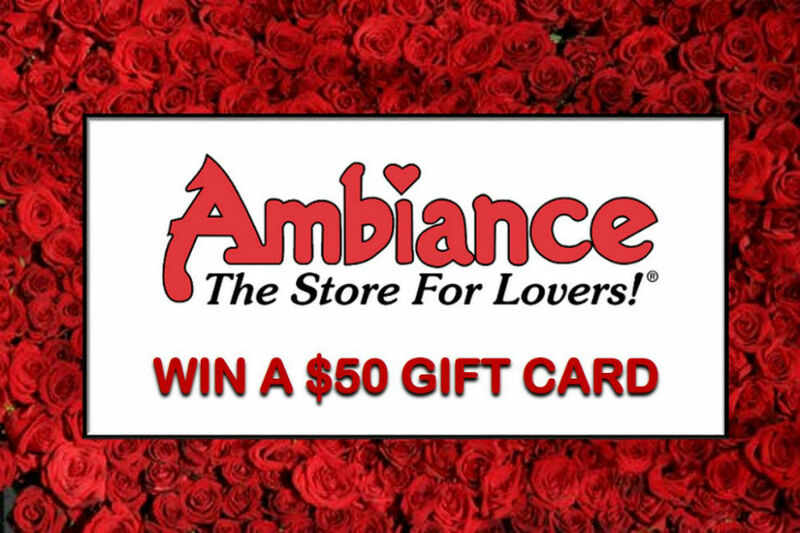 Register today for your chance to Win a Ambiance Gift Certificate! One lucky entrant will receive a $50 Gift Certificate. Promotion Description. This promotion is sponsored by WOIO, LLC – 1717 East 12th St, Cleveland, OH 44114, and Ambiance. The promotion begins at 4:00 pm on 2/12/19 and ends at 9am on 2/28/19. Entries must be received by 9am on 2/28/2019. Promotion is void where prohibited. By entering, each entrant accepts and agrees to be bound by these promotion rules. Apple is not a sponsor or involved in the contest in any manner. Eligibility. No purchase necessary to enter or win. This promotion is open only to legal U.S. residents of Ohio in the Cleveland DMA/The WOIO viewing area: Ashland county, Ashtabula county, Carroll county, Cuyahoga county, Erie county, Geauga county, Holmes county, Huron county, Lake county, Lorain county, Medina county, Portage county, Richland county, Stark county, Summit county, Tuscarawas county and Wayne county, who are 18 years of age or older at the time of entry. Employees and immediate family members of employees of Gray Television, Inc., WOIO, LLC, Ambiance and their respective parent companies, affiliates, subsidiaries, agents, and their advertising and production agencies are not eligible to participate in this promotion. How to Enter. Beginning at 4:00 pm on 2/12/19, individuals can enter on the www.Cleveland19.com contest page, CLE Weekends contest page, Cleveland 19 Mobile App or Cleveland 19 Facebook Page. Entries must contain the name and phone number of the entrant in order to be considered. Entries must be received by 9am on 2/28/19 in order to qualify. Each entry may be disqualified at WOIO, LLC’s sole discretion if it determines that the entry is not valid. All entries become the property of Sponsor(s), and Sponsor(s) reserve(s) the right to use any information submitted by entrants. Entries must be filled out completely in order to qualify, and will be void if they are, in whole or in part, incomplete, illegible, damaged, irregular, counterfeit, altered, or obtained through theft or fraud. No mechanically reproduced, software-generated or other automated multiple entries are permitted. Sponsor(s) is/are not responsible for lost, late, illegible, misdirected or mutilated entries, including due to transmission, technical, and/or network failures of any kind, including, without limitation, malfunctioning of any hardware or software (whether originating with sender or Sponsor(s)), telephonic failures, human error, or any other error or malfunction. For online entries, the authorized account holder of the e-mail address submitted at time of entry will be considered the entrant. An “authorized account holder” shall mean the natural person assigned to such e-mail account by the Internet access provider, online service provider, or other organization responsible for assigning e-mail addresses for the domain associated with such e-mail account. A potential winner may be requested to provide proof that he or she is the authorized account holder of the e-mail address associated with a winning entry. Prize(s). One (1) winner will be randomly selected to receive $50 gift certificate to Ambaince. The retail value of prize is $50. No prize may be exchanged for cash, transferred, or assigned. Sponsor reserves the right to substitute a prize, in which case a prize of equal or greater value will be awarded. How the Prizes are Awarded. One (1) winner will be randomly selected to receive a $50 Ambiance gift certificate. If there is no response, an alternate winner will be selected and contacted. Winner may pick up Gift Certificate at WOIO/WUAB-TV offices at 1717 East 12th Street, Cleveland, Ohio 44144. Winner must show ID to receive prize. Conditions of Acceptance of Prize. Driver’s license or other appropriate picture identification is required to claim a prize. The winner(s), travel companion(s), and/or any other persons necessary will be required to execute and return a release and affidavit of eligibility the day of prize notification, or the prize will be forfeited. A winner must take possession of his or her prize by March 31, 2019. Winner(s) will be solely responsible for any and all local, state, and federal taxes, as well as license and registration fees incurred by participating in the promotion, including, but not limited to, transportation costs, gratuities and other items of an incidental nature. WOIO, LLC will report any individual winnings over $600 (in cash or fair market value of goods or services) in a one year period to the Internal Revenue Service. Winner(s) will receive a Form 1099 from WOIO, LLC if WOIO, LLC reports any winnings to the Internal Revenue Service. Prize(s) may not be exchanged for cash or any other consideration. Each winner agrees to the use of his or her name and likeness in publicity without any additional compensation, except where prohibited by law. By entering this promotion, each winner acknowledges that WOIO, LLC, and all other sponsors and venues, have the right to publicize and broadcast each winner’s name, voice, and likeness, the fact that he or she won, and all matters incidental thereto. Sponsor’s Reservation of Rights. These official rules are subject to modification by WOIO, LLC. In the event of a dispute, all decisions made by WOIO, LLC are final and binding. Sponsor(s) reserve(s) the right, in its/their sole discretion, to disqualify any person who tampers with the entry process or the operation of Sponsor’s/Sponsors’ web site(s), or who otherwise acts in violation of these official rules. Sponsor(s) further reserve(s) the right, in its/their sole discretion, to cancel, terminate, or modify this promotion if, for any reason, the promotion is not capable of completion as planned (including, but not limited to, for the following reasons: infection by computer virus, technical corruption, force majeure, or non-authorized human intervention that compromises or affects the administration, fairness, integrity, security, or proper conduct of the promotion). List of Winners. 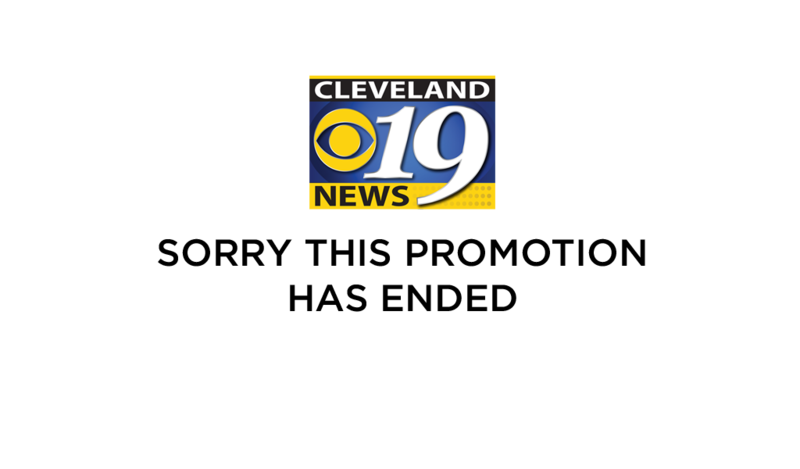 For a list of winners, send a self-addressed stamped envelope to WOIO-TV, 1717 E. 12th Street, Cleveland, OH 44114 between March 1, 2019 and March 31, 2019.